Price per person. Taxes included. Drinks not included. Price per person. Taxes included. Drinks not included. Minimum 2 people. Price per person. Taxes inlcuido. Drinks not included. Minimum 2 people. "Linking Madrid with the archetype of the Spanish cuisine is correct but inexact. 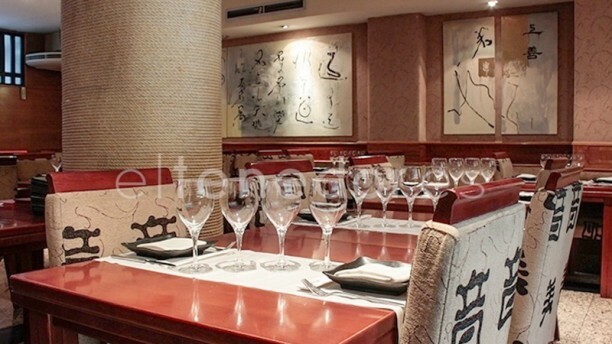 Chamartín is an example of this: Tao Félix Boix, with its innovative and exquisite offer of Asian gastronomy, comes to give a new image to the scene of Madrid's restoration. A mixed sushi with sashimi or some delicious prawns with vegetable rolls, are grounds for opening your mouth. But the strips of crispy beef in sweet and sour sauce come to complement the spectacular picture of Asian cuisine that awaits us in this restaurant. If you're in the financial heart of Madrid and have a craving for something different, check out this restaurant. Their Asian touches, zen decor, and wide range of menu options, ensure you a spectacular stay." Metro Cuzco (L10), Plaza de Castilla (L1, L9 y L10) y Valdeaceras (L1) y autobús 150.